Winner of ‘Jane Austen in Love: An Entertainment’ by Elsa Solender! Congratulations Kim! – please email me [ jasnavermont [at] gmail [dot] com ] your contact information [mail, phone, etc] and the book will be mailed to you right away. Thank you all for participating and sharing what reading Jane Austen has taught you about Love! Happy Valentine’s Day! ~ Giveaway of Elsa Solender’s Jane Austen in Love! What a strange thing love is! What better way to celebrate Valentine’s Day than to think of Love in Jane Austen terms. I think we can say that it is a “truth universally acknowledged” that Captain Wentworth’s letter to Anne in Persuasion* is the grandest expression of Love in all of literature – who would not want to receive such a letter as this? But what of Love in Jane Austen’s own life? – we know so little; where did Mr. Darcy come from, or any of her other heroes? What of True Love in her own life? We can only imagine… so I lead you to a fine imaginative rendering of ‘Jane Austen in love’ in Elsa Solender’s Jane Austen in Love: An Entertainment. When published last February, it was only available as an ebook, delightful to read but nothing to put upon the shelf. We had to wait until this past December to see it finally published in real book form at Amazon.com. 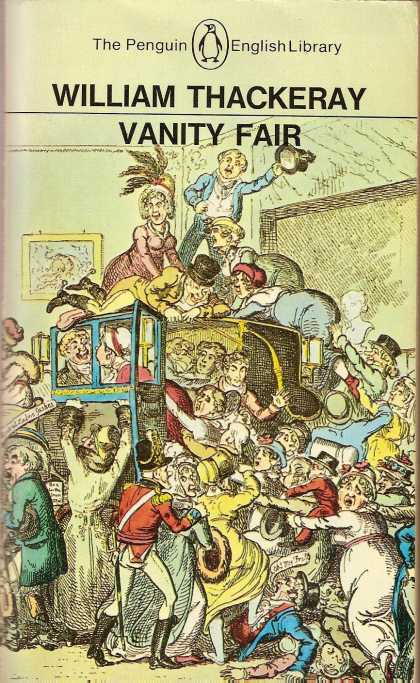 At the time of its release as a kindle book, Elsa graciously “sat” for an interview here at Jane Austen in Vermont – you can read that here. And as my review was to be published in the JASNA News (just out in the Winter 2012 issue), I did not post a review of the book on this blog; Diana Birchall very graciously did so for me here. But as my review is now published and available online, I append it here in part and then direct you to the JASNA site for the remainder [Note: all book reviews in the JASNA News are available online from 1998 to the present: click here.] – and Elsa has offered a copy for a book giveaway [see below] in celebration of Valentine’s Day! 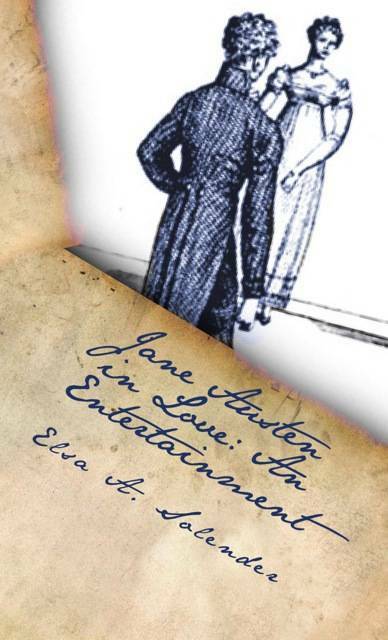 Jane Austen in Love: An Entertainment, by Elsa Solender. 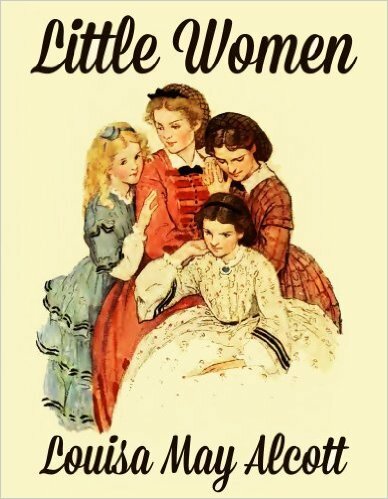 Imagine a young Jane Austen reading aloud her History of England, Cassandra sketching Henry as Henry V, their Mother as Elizabeth I, and Jane as Mary Queen of Scots; or young Jane at school nearly dying of typhus; or hearing Jane’s thoughts on first encountering Madame Lefroy; or sparking a laugh from the intimidating Egerton Brydges. Imagine the suitor you might like your Jane Austen to meet by the seaside, she falling madly in love but destined to suffer the pangs of lost love, forever irreplaceable. 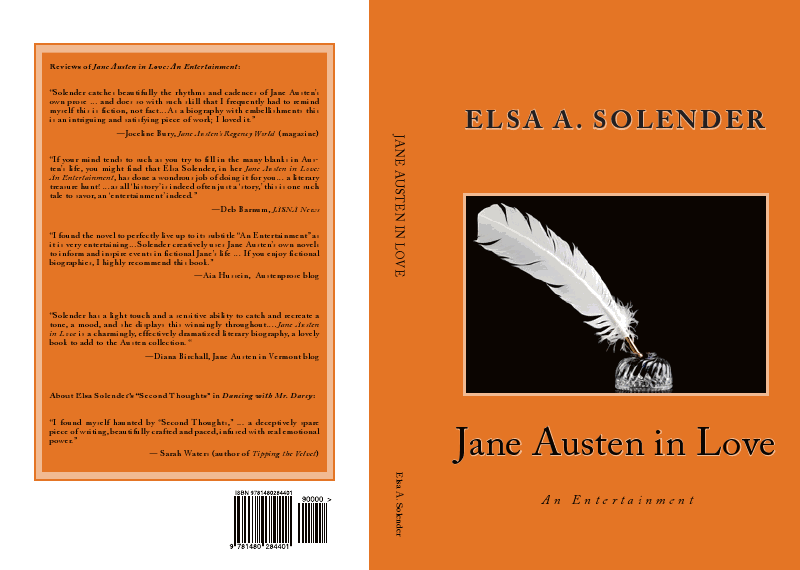 If your mind tends to such as you try to fill in the many blanks in Austen’s life, you might find that Elsa Solender, in her Jane Austen in Love: An Entertainment, has done a wondrous job of doing it for you. Ms. Solender, former president of JASNA and a prize-winning journalist, has taken her story “Second Thoughts,” runner-up in the 2009 Chawton House Library Short Story Contest, and expanded this one moment in Austen’s life to other places and times, all through the lens and voice of Cassandra Austen—it is part real, part imaginary, and part Austen’s own fiction, dialogue and story all beautifully woven together in this tribute to love in the life of Jane Austen—her love for her sister, her family, her cousin Eliza, and her mentor and friend Madam Lefroy; her flirtation with Tom Lefroy; the proposal from Bigg-Wither; and her Mysterious Suitor of the Seaside. 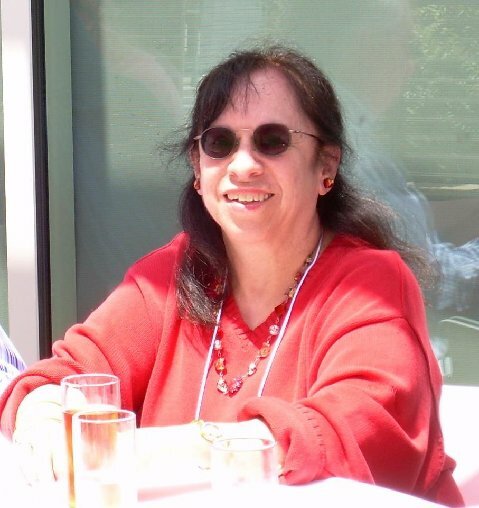 About the author: Elsa A. Solender, a New Yorker, was president of the Jane Austen Society of North America from 1996-2000. Educated at Barnard College and the University ofChicago, she has worked as a journalist, editor, and college teacher in Chicago, Baltimore and New York. She represented an international non-governmental women’s organization at the United Nations during a six-year residency in Geneva. She wrote and delivered to the United Nations Social Council the first-ever joint statement by the Women’s International Non-Governmental Organizations (WINGO) on the right of women and girls to participate in the development of their country. She has published articles and reviews in a variety of American magazines and newspapers and has won three awards for journalism. Her short story, “Second Thoughts,” was named one of three prizewinners in the 2009 Chawton House Library Short Story Competition. Some 300 writers from four continents submitted short stories inspired by Jane Austen or the village of Chawton, where she wrote her six novels. Ms. Solender was the only American prizewinner, and she is the only American writer whose story was published in Dancing With Mr. Darcy, an anthology of the twenty top-rated stories of the contest. Ms. Solender’s story “A Special Calling” was a finalist in the Glimmer Train Short Short Story Competition. Of more than 1,000 stories submitted, Ms. Solender’s story was ranked among the top fifty and was granted Honorable Mention. She has served on the boards of a non-profit theater, a private library and various literary and alumnae associations. Ms. Solender is married, has two married sons and seven grandchildren, and lives in Manhattan. Thank you Elsa, and good luck everyone! 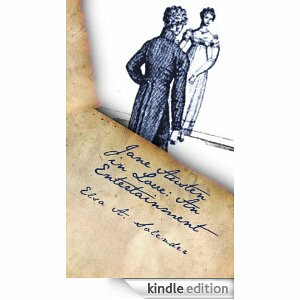 Jane Austen in Love: An Entertainment by Elsa Solender ~ Now in Real Book Format! 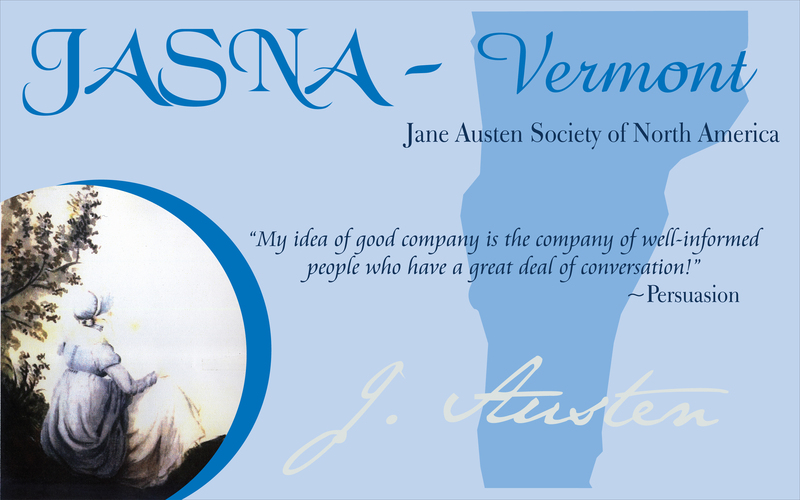 Coming up this weekend [Sunday September 23, 2012] is JASNA-Vermont’s “An Afternoon with Jane Austen”: wherein we shall hear about ‘Channeling’, ‘Imagining’, and ‘Dressing’ Jane Austen’. Presentations by authors Elsa Solender (Jane Austen in Love: An Entertainment) and Stuart Bennett (The Perfect Visit) will take us back in time to meet our favorite author! These two sessions will be linked with a talk by our very own Hope Greenberg as she takes us through the stages of “Dressing Jane” in the proper Regency clothing of her day. I had reviewed Elsa Solender’s book for the JASNA News [it shall be in the next issue] and so cannot post that review here until it is published, so I have asked Diana Birchall, who read and enjoyed the book very much, to share her thoughts on Jane Austen in Love: An Entertainement. The Austenalia, Austenesque, Austen-related fiction field is now so rich and wide that there is something for every taste, passion, and level of knowledge. Jane Austen’s works have always left the reader wishing for more, and by now all her novels have been continued, extended, squeezed and sequelized, transmuted into every possible genre, and almost loved to death by writers and fans of every conceivable skill set and range of imagination and learning. The subject of Jane Austen’s own life and loves has not been neglected, but it is not as commonly treated as those of her fictional characters. 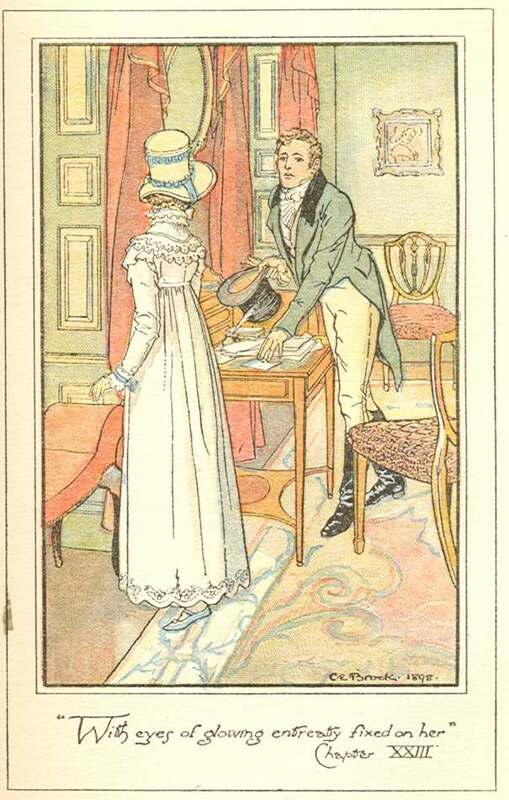 Perhaps it is easier to picture to oneself the future lives of Darcy and Elizabeth than it is to write authoritatively and persuasively about the veritable Austen herself, the mysterious and hidden woman of two hundred odd years ago, whose life was never on display, whose relatives burned selected letters and presented a sweetened version of her to the world. A lifetime of study and scholarship leaves one only more deeply aware of just how enigmatic she was. For this reason most modern re-imaginings of her life cannot satisfy – too often they clash wincingly with our own vision, or try to pump up the almost incredibly scantily known romantic aspects of her life into a sensational love story. Only a precious few come close to presenting a plausible enough version to permit us to think that yes, maybe, just maybe, life was like that for Jane Austen. Elsa Solender’s Jane Austen in Love accomplishes this, and is one of the most valid and satisfying attempted imaginings of Austen’s emotions and interior life – and that of her sister Cassandra, who serves as a natural, if somewhat somber, narrator. Solender has the advantage of lifelong study of Austen, for as writer, editor, and former President of JASNA, she has clearly never branched far away from the Austen tree of knowledge, but has kept it twining around her mind and heart, evergreen. She is also a felicitous, unobtrusive, graceful writer, who wears her great scholarship lightly and is never prosy or dry, but modest and elegant, just as Austen would surely approve. 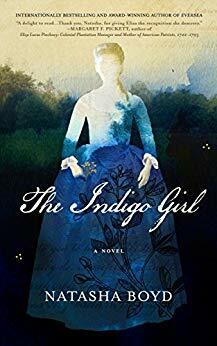 She keeps her fertile imagination closely reined in to the probable, and therefore the reader who wants to see a little more of “what Jane Austen was like,” is given the gift of a delicate and wholly believable version of reality. Solender has a light touch and a sensitive ability to catch and recreate a tone, a mood, and she displays this winningly throughout. The sober sadness of the older Cassandra is piquantly contrasted with the bright, high spirited portrait of the young Jane in the bosom of her family, each of her brothers lively and inimitable, especially the clever but unstable Henry. Solender artfully intersperses nuggets of literary biography with her sketches, giving us the pleasure of seeing Jane Austen’s family at home, in the act of being themselves. The cast of characters comes to life and disports itself with almost Austenian variety and vivacity: Eliza, Mrs Lefroy, uncles and aunts, are all impressively yet endearingly recalled to life. 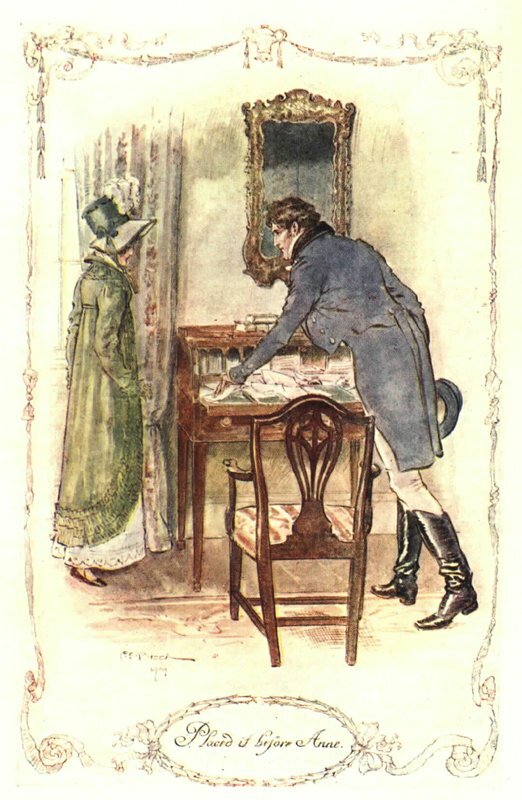 The light-yet-probable touch is equally imparted to all the romances that touched Austen: the disappointing flirtation with Tom Lefroy, the deeper love for the Sidmouth gentleman, the abortive Bigg-Wither experiment. They are all smoothly stitched into the sampler. Jane Austen in Love is a charmingly, effectively dramatized literary biography, a lovely book to add to the Austen collection. The only pity is that thus far it is only available as an e-book, when it so well deserves to be on the best shelves and in the best hands. It is a book that you cannot call a labor of love, for it is not laborious. An entertaining effusion of affection, home brewed honey wine for the reader who loves drinking drafts that are sweet and pure, wholesome and sparkling. Diana Birchall is a story analyst who reads novels for Warner Bros Studios. She is the author of the Jane Austen-related novels Mrs. Darcy’s Dilemma and Mrs. Elton in America, and also a scholarly biography of her grandmother, Onoto Watanna, the first Asian American novelist. Her story “Jane Austen’s Cat” appears in the anthology Jane Austen Made Me Do It, and her several Austen-related plays have had staged readings around the country and in Canada. She has also given many talks on Jane Austen, at such venues as Yale, Oxford, and the Chawton House Library in England. Thank you Diana! – wish you could be here on Sunday! 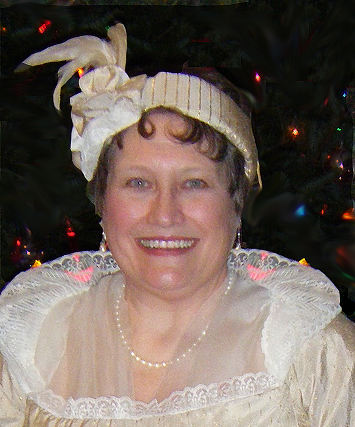 Come prepared on Sunday to hear Elsa “channel Jane Austen” – she would sign books available for purchase but alas! as Diana notes the book is only in ebook format at present – but there will be a door prize, so bring your kindle so you can download it right there and then if you are the lucky winner! Up later this week: Stuart Bennett’s The Perfect Visit – Mr. Bennett [no relation to that esteemed gentleman Mr. Bennet] will also be speaking at our Sunday event, on “Imagining Jane Austen”… a full afternoon of Jane Austen indeed! Sunday, 23 September 2012, 1 – 5 p.m.
full Afternoon with Jane Austen! The event is co-sponsored by JASNA-Vermont and Bygone Books as part of the Burlington Book Festival. Books will be available for purchase and signing! Join us for an afternoon of ‘Channeling’, ‘Imagining’, and ‘Dressing Jane Austen’. Presentations by authors Elsa Solender (Jane Austen in Love: An Entertainment) and Stuart Bennett* (The Perfect Visit) will take us back in time to meet our favorite author! These two sessions will be linked with a talk by our very own Hope Greenberg as she takes us through the stages of “Dressing Jane” in the proper Regency clothing of her day. We will meet at the Hauke Conference Center of Champlain College on Sunday 23 September, 2012, from 1-5 pm; the visiting authors’ books will be available for purchase and signing; other books relating to Jane Austen and her times will also be offered for sale; and light refreshments will be served. Regency dress is encouraged! Who was Jane Austen – really? Was she the chaste, unworldly spinster, mild and religious, who miraculously created six of the world’s most beloved love stories? Or a sharp-eyed ironist whose engaging plot and characters disguise the splinter of ice in her heart that transformed what she saw and heard into subversive criticism of her world that resonates to this day? In her novel, Jane Austen in Love: An Entertainment, Elsa Solender retells the novelist’s own life story, blending missing aspects of her “romantic career” with the sparse known facts. 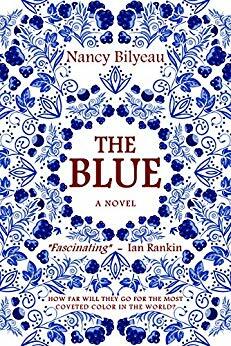 She will describe her search for a voice and style not unlike Austen’s to explore Jane’s inner life as the heroine of her own bright tale. Elsa A. Solender, a New Yorker, was president of the Jane Austen Society of North America from 1996-2000. Educated at Barnard College and the University of Chicago, she has worked as a journalist, editor, and college teacher in Chicago, Baltimore and New York. She represented an international non-governmental women’s organization at the United Nations during a six-year residency in Geneva. She wrote and delivered to the United Nations Social Council the first-ever joint statement by the Women’s International Non-Governmental Organizations (WINGO) on the right of women and girls to participate in the development of their country. She has published articles and reviews in a variety of American magazines and newspapers and has won three awards for journalism. 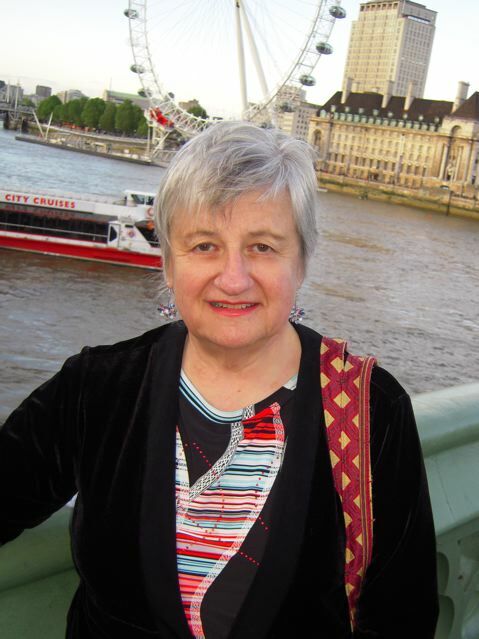 Her short story, “Second Thoughts,” was named one of three prizewinners in the 2009 Chawton House Library Short Story Competition, chosen from over 300 writers who submitted stories inspired by Jane Austen or the village of Chawton. The story was published in Dancing with Mr. Darcy, an anthology of the twenty top-rated stories of the contest, and is part of her new work Jane Austen in Love. Ms. Solender’s story “A Special Calling” was a finalist in the Glimmer Train Short Short Story Competition, and of more than 1,000 stories submitted, was ranked among the top fifty and was granted Honorable Mention. She has served on the boards of a non-profit theater, a private library and various literary and alumnae associations. Ms. Solender is married, has two married sons and seven grandchildren, and lives in Manhattan. Stuart Bennett’s foray into historical fantasy/fiction, The Perfect Visit, follows his long career in the world of antiquarian bookselling and scholarly publications on bookbinders and publishers in Jacobean, Augustan, and Regency England. He will ask the audience to consider how much scholarship properly belongs in an historical novel, and what is the right balance between fact and fiction? “Imagining Jane Austen” will focus on these topics, illustrated by short passages from The Perfect Visit. Audience participation is invited. 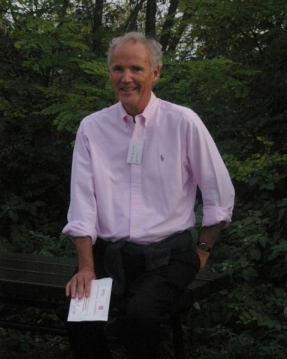 Stuart Bennett was an auctioneer at Christie’s in London before starting his own rare book business. He is the author of the Christie’s Collectors Guide How to Buy Photographs (1987), Trade Binding in the British Isles (2004) which the London Times Literary Supplement called “a bold and welcome step forward” in the history of bookbinding, and many publications on early photography, auctions and auctioneers, and rare books. He currently lives and works near Boston, Massachusetts. Can one dance comfortably in a corset? Is it true that some ladies dampen their gowns to make them cling revealingly? Must one wear white all the time? Jane Austen’s novels and letters contain many fashion tidbits. Modern films offer their own take on the fashions of the period, but do they get it right? 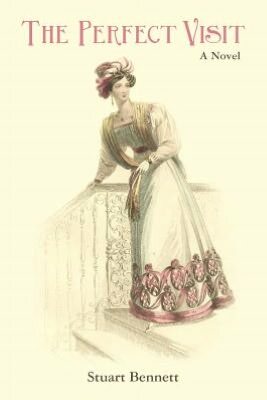 Through a collection of over 400 fashion images we will explore the revolutionary changes in fashion during Austen’s lifetime. Shifts, trains, petticoats, apron gowns, pelisses, spencers, narrow backs, high waists–we’ll see them all. Then together, we will try to solve a fashion mystery. Hope Greenberg holds an MA in History from the University of Vermont where she is currently an Information Technology Specialist in the Center for Teaching and Learning, promoting and supporting the use of technology to further research and education. She is also an avid English Country Dancer. Her fascination with the creation and wearing of historic clothing as a way of gaining insight into the past predates all of these. 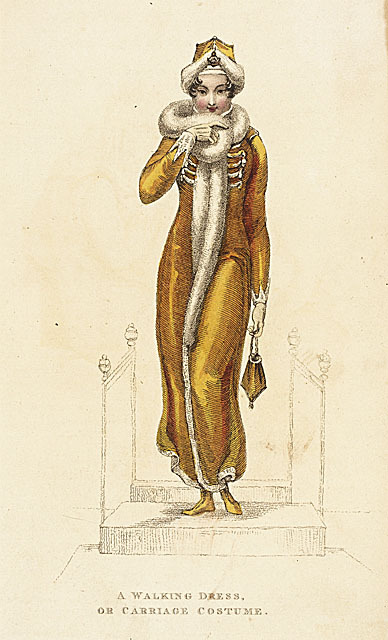 Her absolute joy at the willingness of historic clothiers to share their insights is matched only by her gratitude to the museums and collectors that increasingly publish examples of extant clothing and fashion plates online so that we may continue to develop our understanding of clothing of all periods. 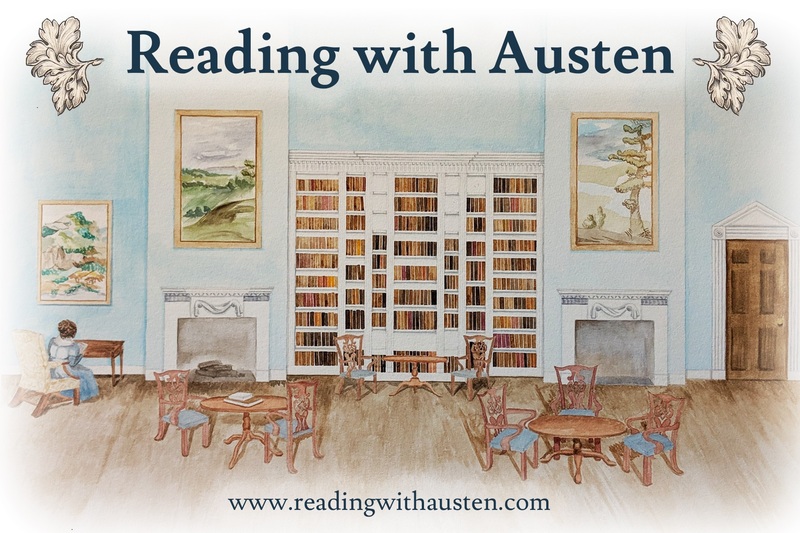 Hope you can join us for this Afternoon of All Things Austen! … Karen Field, who commented on 2-24-12 at 8:04 pm. Congratulations Karen! you have won a copy of Jane Austen in Love: An Entertainment by Elsa Solender. If you have a kindle [you mention that you do! ], you can download the book here at Amazon.com, and I will reimburse you the $8.99 – or we will send you a copy of Dancing with Mr. Darcy, which includes Ms. Solender’s story “Second Thoughts.” Please let me know which you prefer and your contact information. If I don’t hear from you by Friday March 9, 2012, I will draw another name. Thank you all for particpating, and to Elsa Solender for her gracious answers to all my questions! Reminder! – today is the last day to comment on the post about Elsa Solender’s Jane Austen in Love: An Entertainment. Go here: http://tinyurl.com/73grlcc and post your comment to be included in the drawing tomorrow March 5, 2012.